While Lecce is an obvious choice to be designated a “Capital of Culture” because of its globally recognized artistic and architectural heritage, this program could provide the impetus for other cities in Puglia to focus new attention on their cultural heritage. Earning the “Italian Capital of Culture” designation could help foster preservation and promotional programs that would help other cities benefit culturally, and economically, from the treasures they already possess. Citing the region’s broad appeal, it speaks of Puglia as a summer (high-season) beach destinations as well as its off-season allure for food, wine, history and architecture. 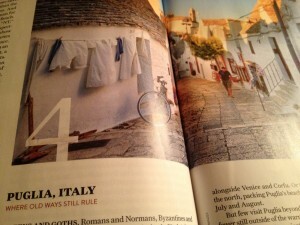 I’ve written this before, but for a long time I’ve been hoping that others would recognize Puglia’s appeal. Admittedly, the region can be a bit rough around the edges, especially for travelers accustomed to more fully developed destinations such as Florence and Venice, but that makes it all more enjoyable when you uncover one of its “hidden treasures,” often when you’re not even looking. Tour operators and cruise lines are expanding their programs in Puglia to make the region more accessible than ever. Lecce, the capital city of the province of Lecce, is one of six Italian cities selected to compete to become 2019 European Capital of Culture, according to the Italian news agency ANSA. Lecce, along with Cagliari, Matera, Perugia-Assisi, Ravenna and Siena, was chosen by a jury selected by the European Commission, ANSA said, adding the jury will reconvene in the last quarter of 2014 to choose one of the six cities to represent Italy, one of four countries selected to showcase a European Capital of Culture in 2019. 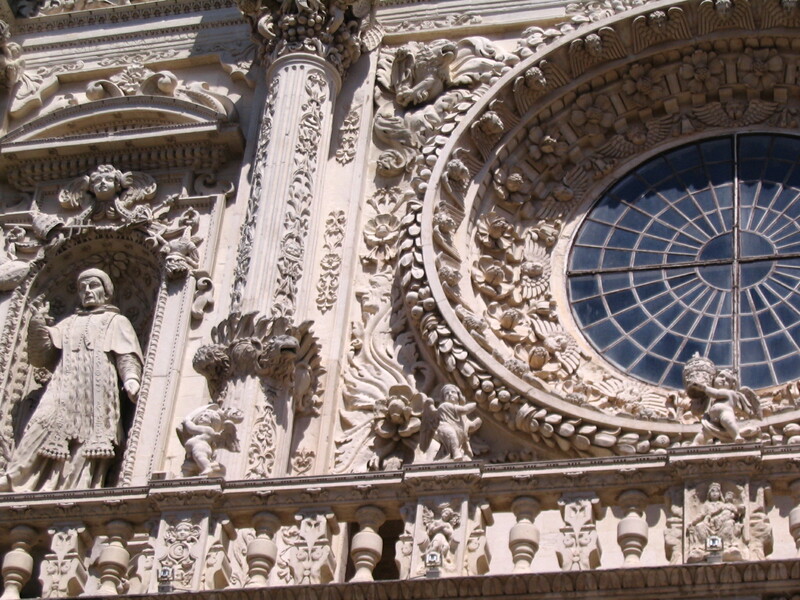 It would be a deserving honor for Lecce, which has long been considered a cultural treasure in Puglia and is frequently described in guidebooks as “the Florence of the South” based on its artistic and architectural heritage. You are currently browsing the Puglia Connection Blog blog archives for November, 2013.